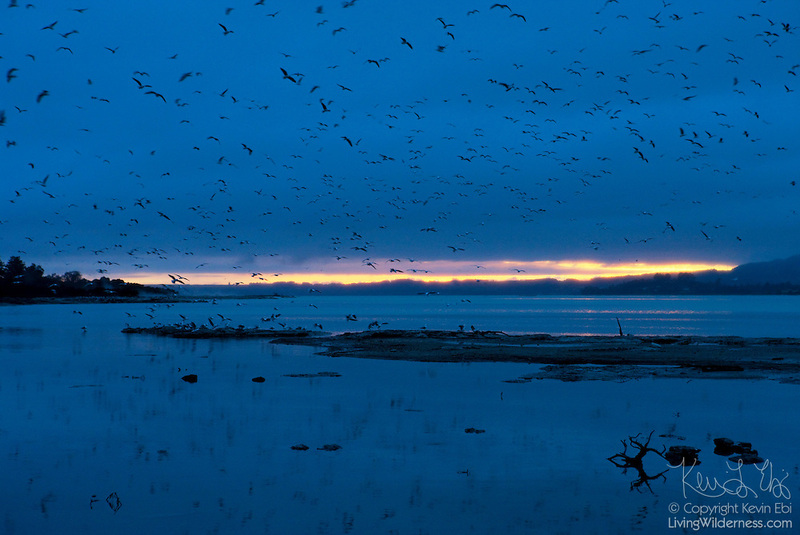 Thousands of red-billed gulls, known also as mackerel gulls, fly over Lake Rotorua in New Zealand just before sunrise. The gull is native to New Zealand. The native M?ori name of this species is Tarapunga.